BOB MARLEY'S THREE LITTLE BIRDS and FREE TO BE... YOU AND ME join the R&H TYA Collection! 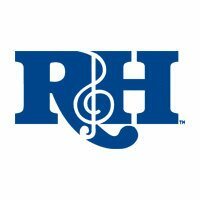 R&H Theatricals is proud to announce that BOB MARLEY'S THREE LITTLE BIRDS and FREE TO BE... YOU AND ME have joined the R&H TYA Collection! Bob Marley's Three Little Birds: Mama says "Breathe easy,' but Ziggy's afraid to leave the hours. He's too busy worrying about tropical storms, evil spirits and steering clear of that sneaky, hair-snatching Duppy! But with the help of Dr. Bird and his feathered friends, Ziggy's reminded in soothing six-part harmony that "every little thing gonna be all right." A jammin' musical featuring the timeless music and lyrics of Bob Marley and based on the children's book by his daughter Cedella, BOB MARLEY'S THREE LITTLE BIRDS share the legendary reggae artist's message of peace and love with a new generation of songbirds. 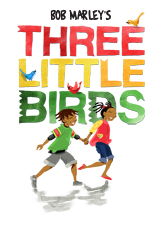 CLICK HERE for more information about Bob Marley's Three Little Birds! Free to Be... You and Me: Marlo Thomas conceived a children's book that, instead of telling boys and girls who they should be, would open them to the possibilities of who they could be. She gathered many of her supremely talented friends from various worlds of the arts and the remarkable results is highly regarded as a modern classic of children's literature. Life-enhancing themes are imaginatively blended with music and humor to expand children's personal horizons, enabling them to invent their own futures without limitation, while dispelling some old constraints and worn-out conventions in the process. Parents, teachers and other grown-up friends will delight in sharing this extraordinary and memorable experience with the children in their lives. CLICK HERE for more information about Free to Be... You and Me! 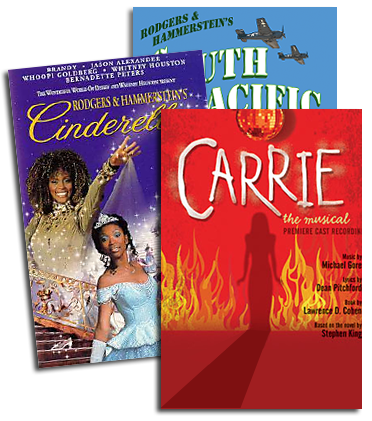 CLICK HERE to view the R&H Theatricals TYA Collection!